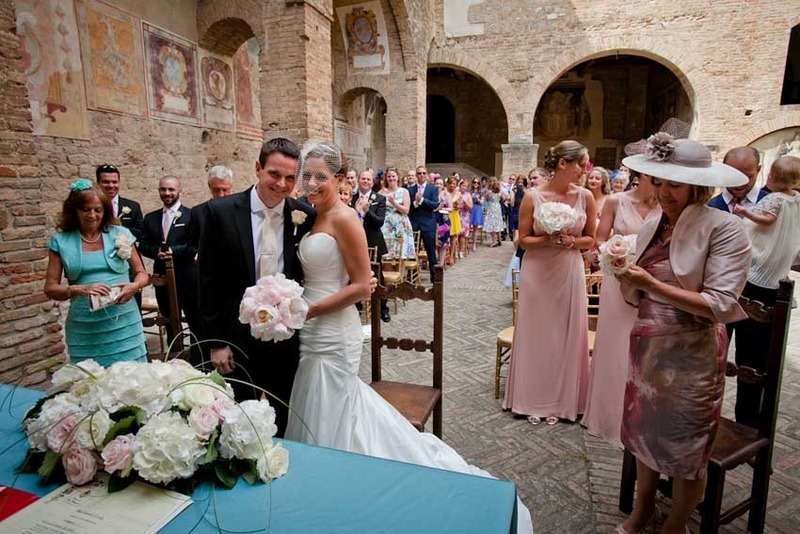 Civil weddings in San Gimignano take place in the beautiful Palazzo del Popolo, a majestic 13th century building that stands in the picturesque Piazza del Popolo surrounded by impressive medieval buildings. 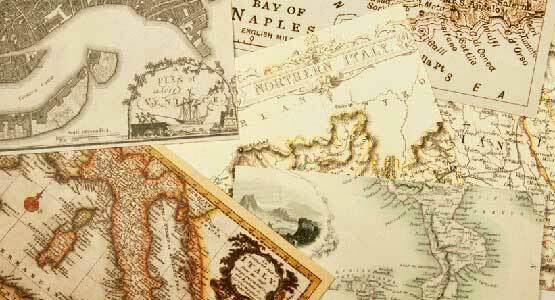 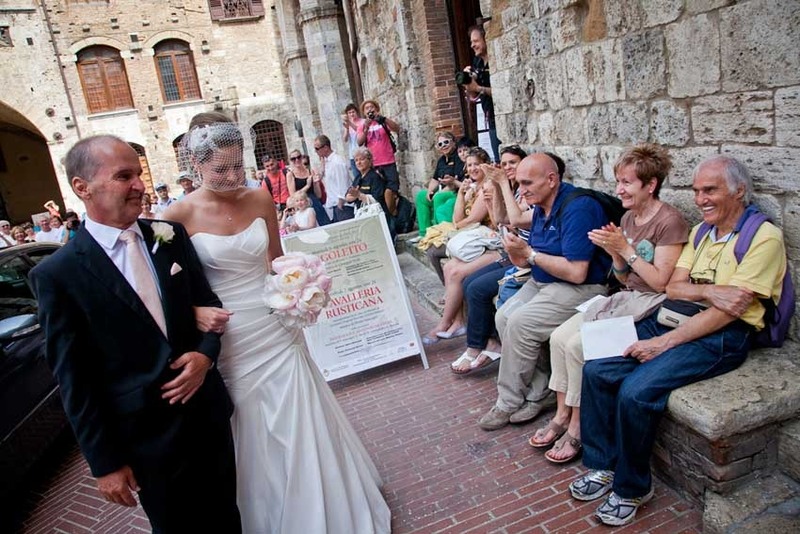 Ceremonies are held in the famous frescoed Dante's Hall, which is also the Civic Museum. 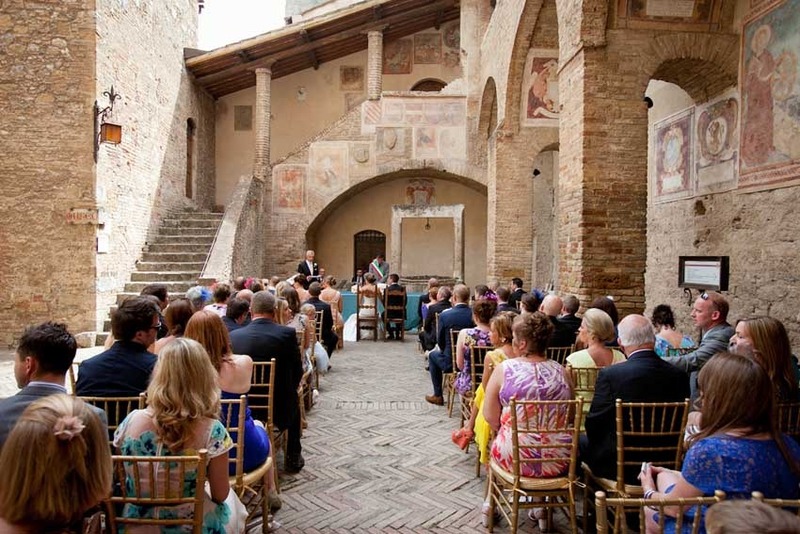 The room was given its name after Dante Alighieri visited San Gimignano in 1300 as a Guelph ambassador. 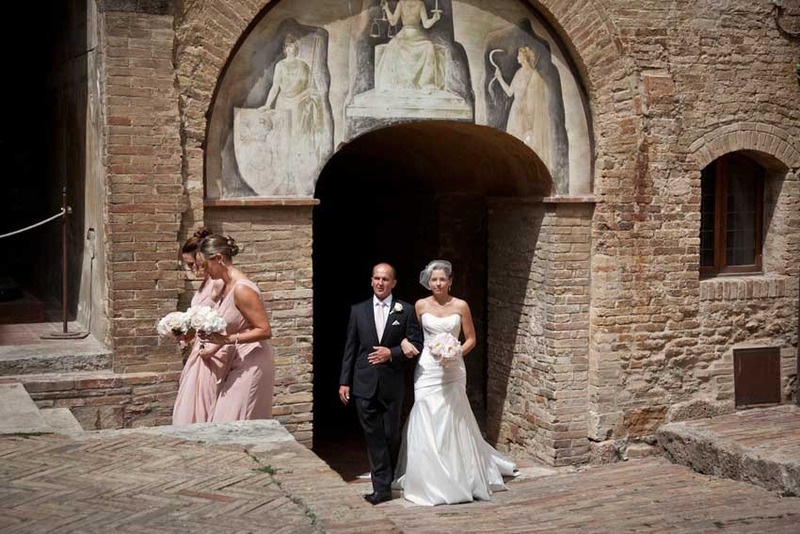 The marriage hall is stunning and contains precious frescoes of the Senese school and original period furniture. 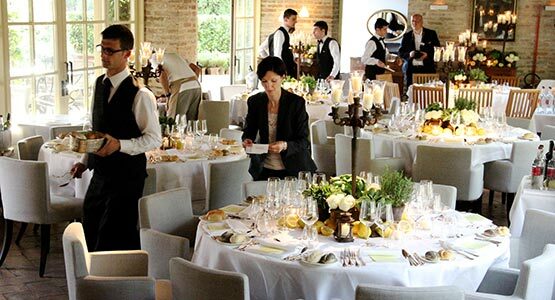 It can hold large groups of approx 100 guests. 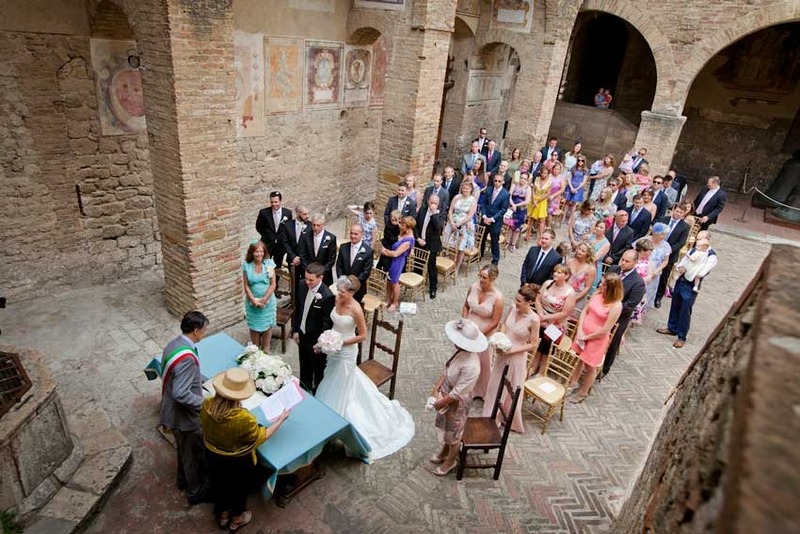 Outdoor wedding ceremonies are allowed also outdoors in the enchanting medieval Loggia decorated with frescoes and surrounded by the historical walls of the ancient city. 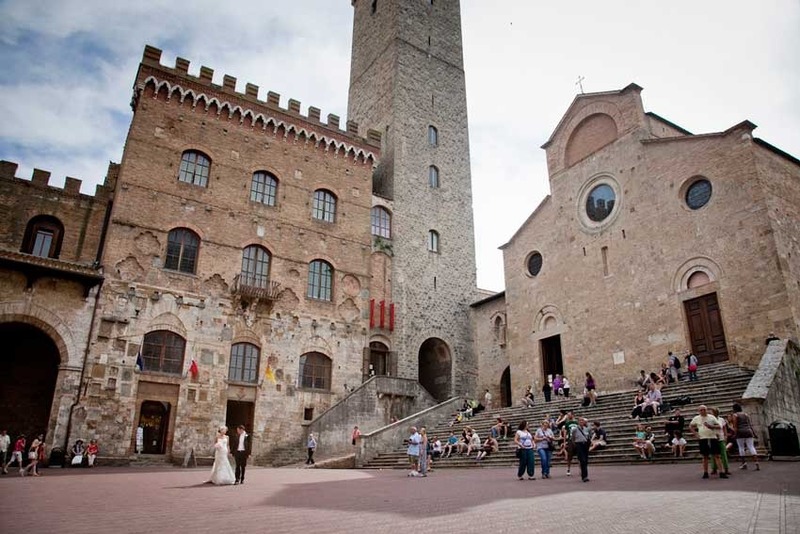 From the top of the walls you can admire the peaceful and relaxing countryside surrounding S. Gimignano. 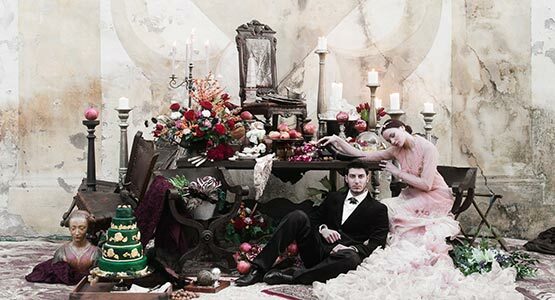 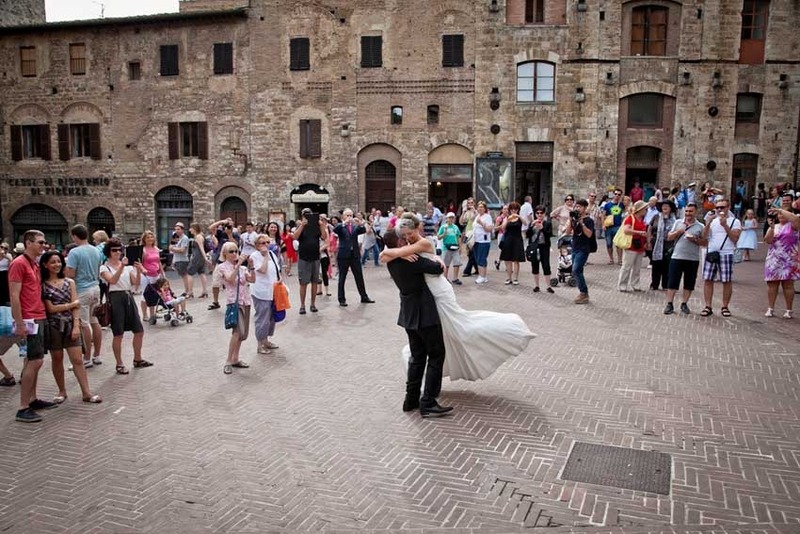 This is a very exclusive and enchanting venue for a wedding, only one wedding per day is allowed in San Gimignano. 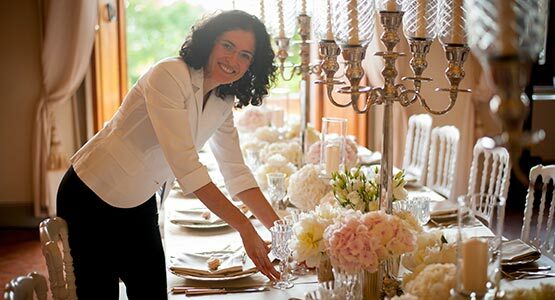 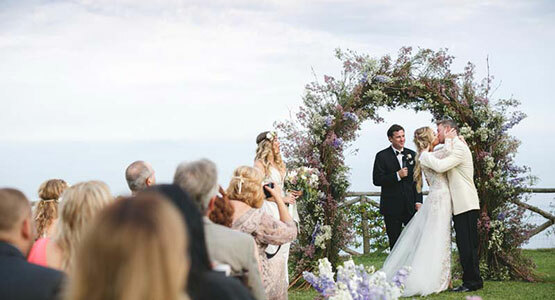 The local authorities pay very much attention to spouses and let them enrich their ceremony with personal readings and poems. 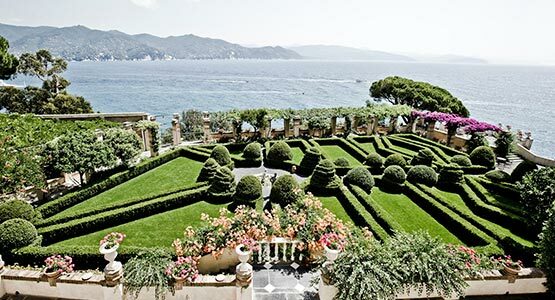 Music is allowed. 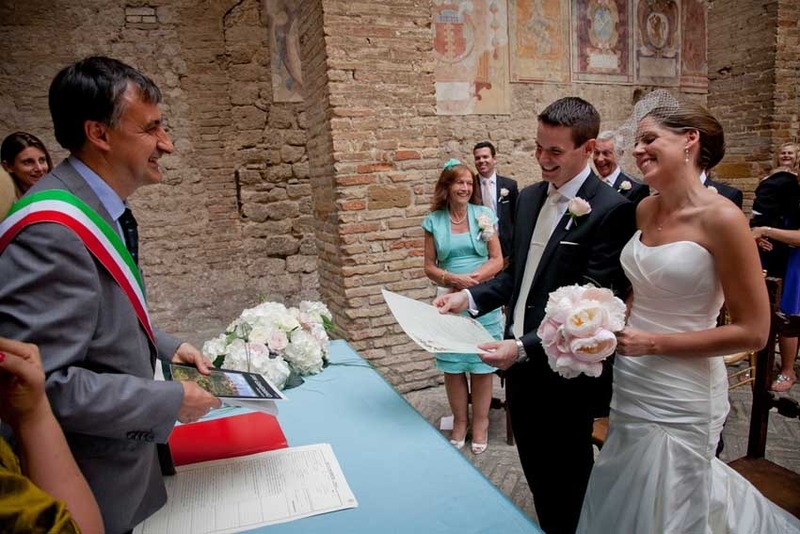 Sworn declaration to be done one or two days before the wedding. 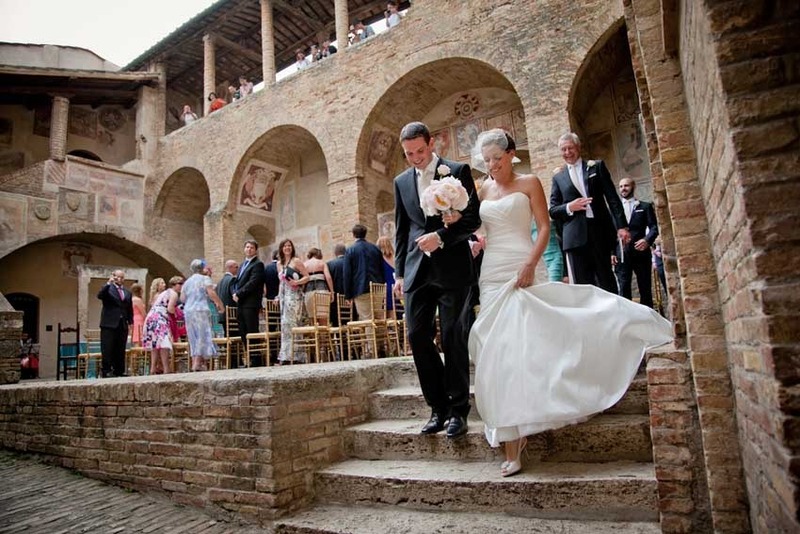 We recommend weddings in San Gimignano all year around.